Oh! Another year has passed. 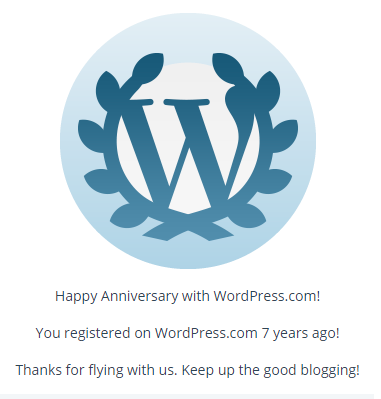 It’s my 7th year in blogging. Whew! Can’t believe I reached this far. Having 7 years in cyber space is just so overwhelming thinking that your post will be read by any people around the world. That’s the power of internet technology! I hope I can maximize the use of my blog in the coming years as I am studying Distance Education. Happy Anniversary my humble blog! ← Busy as a Bee!